There’s no mistake in the method of this recipe – the broccolini is not blanched before grilling. It’s imperative that you start with very fresh broccolini and use great tasting olive oil and a quality feta. Then it’s easy. It’s tasty enough to serve as a starter but it’s also great with steak, a roast chicken or a lamb roast. 1 Trim broccolini. If the stems are very thick, cut in half down the length. Massage broccolini with oil, then grill in a heated ridged grill pan or on a barbecue grill until golden and lightly charred. Season with sea salt. 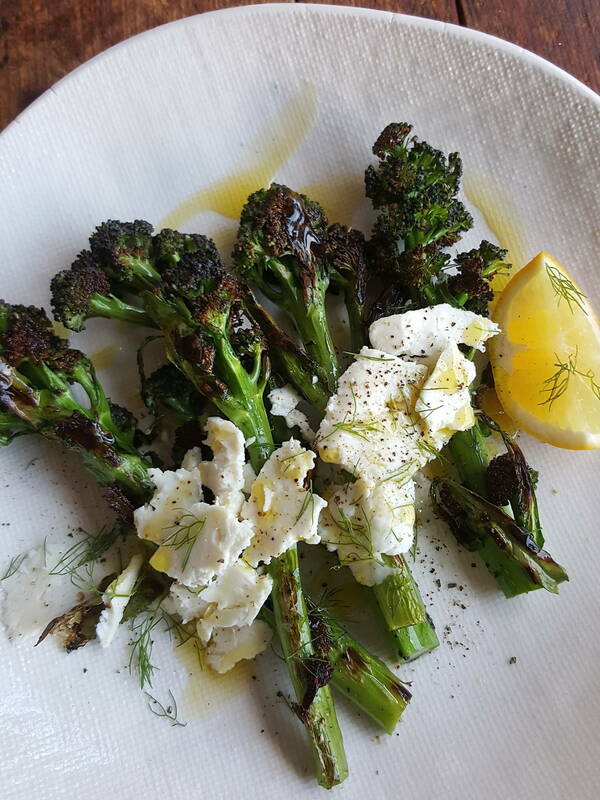 2 Transfer broccolini to a platter or individual plates and top with feta, freshly ground black pepper and chosen herb. Drizzle with a little oil and serve with lemon wedges. 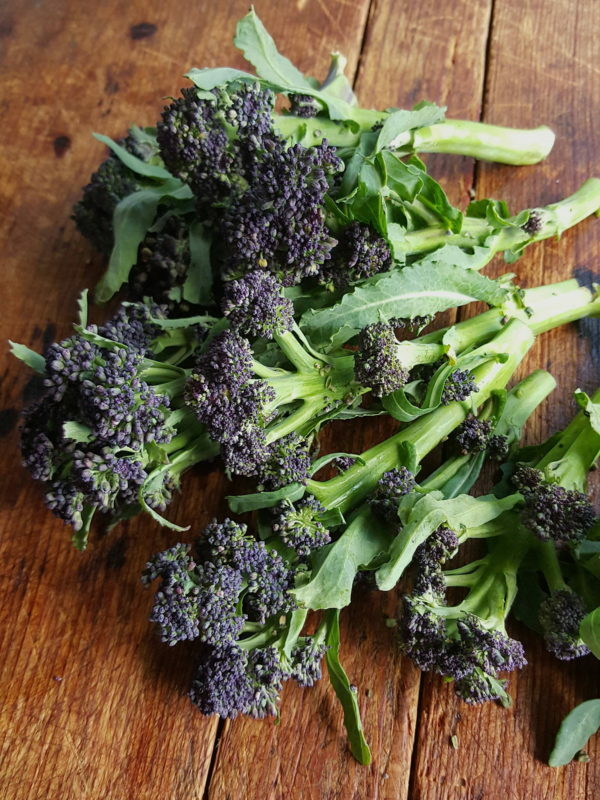 Don’t pay more for purple broccolini because like purple beans and purple sprouts, it’ll turn green as it cooks. Pretty, though, she it is raw. Off to the bakery you go for this recipe to get well-made bread that grills to an audible crunch, but doesn't cut your mouth with dry sharp fragments.